Should I purchase and install a new fuse box only, recondition my existing dash harness, or purchase a new dash harness? 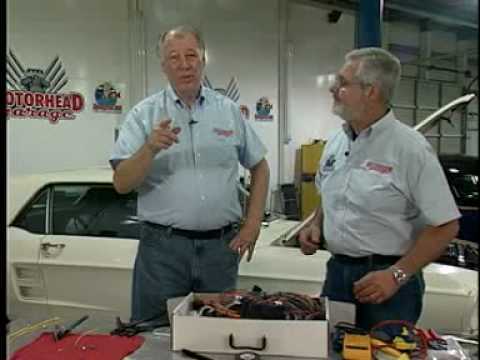 Can I use my original headlight switch or ignition switch with your Classic Update Series kits? Can I hook the orange wire in the front light kit of the Classic Update Series directly to the engine cooling fan? No, the orange wire in any of our Classic Update Kits is a fused 12v ignition feed that should be used as the “keyed” trigger wire that connects to your cooling fan relay. Can I replace a blown fuse with one that has a higher amp rating?